A year after the late Dan Wheldon took the checkered flag, Dario Franchitti, one of his best friends, won at Indianapolis. 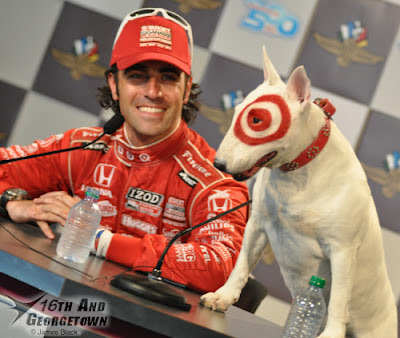 With wins in 2007, 2010, and now 2012, Franchitti became the 10th driver with 3 or more wins in the '500' , joining Foyt, Al Unser Sr., Mears, Meyer, Shaw, Rose, Rutherford, B. Unser, and Castroneves. - Today tied 1919 and 1953 as the 2nd hottest '500' ever at 91 degrees. - Andretti moved up 47 spots to 65th in the all-time laps led list.